Founder and leader of the Movement for the Actualisation of the Sovereign State of Biafra, MASSOB, Chief Ralph Uwazurike, has described the Igbo as foolish. 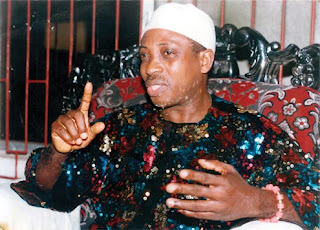 The MASSOB founder insisted that Igbo may not become Nigeria’s president because they only fight for their pocket. Speaking with Punch, Uwazurike recalled how Igbo was pushed aside after forming the former ruling Peoples Democratic Party, PDP, in 1999. He insisted that anyone calling for the unity of Nigeria does not mean well for the already troubled nation. His words, “Remember, it was the Igbo man that formed this PDP but they snatched it from him. Then, it was clear that an Igbo man would be the President of Nigeria. But in Jos, it was the Igbo who robbed themselves of that opportunity. The Igbo at that political event in Jos started speaking Hausa. “The Igbo started sponsoring (Olusegun) Obasanjo against (Alex) Ekwueme; giving N100 million and all that to another tribe to emerge. Let me tell you, the Igbo tribe is the most foolish tribe I have ever seen in the world. “While the Yoruba embraced unity, the Igbo man was the person speaking Hausa in Jos; the Igbo man was the one donating money against his own brother in Jos to another candidate.